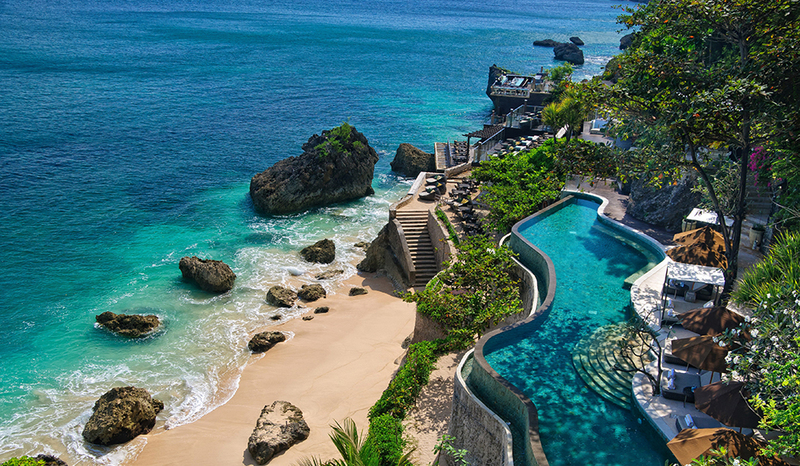 Perched on a rocky bluff, the charming AYANA Resort and Spa is a captivating, secluded hideaway that adheres to the Balinese principal of building no higher than the coconut palms. As well as stunning rooms and suites, the resort boasts an impressive array of 78 free-standing villas each featuring luxurious and spacious interiors with private infinity plunge pool, stunning outlooks and butler service. For the utmost privacy, the exceptional AYANA Villa is a unique luxury villa with stunning cliff-top views, private access, three bedrooms, private pool, gym and gardens. 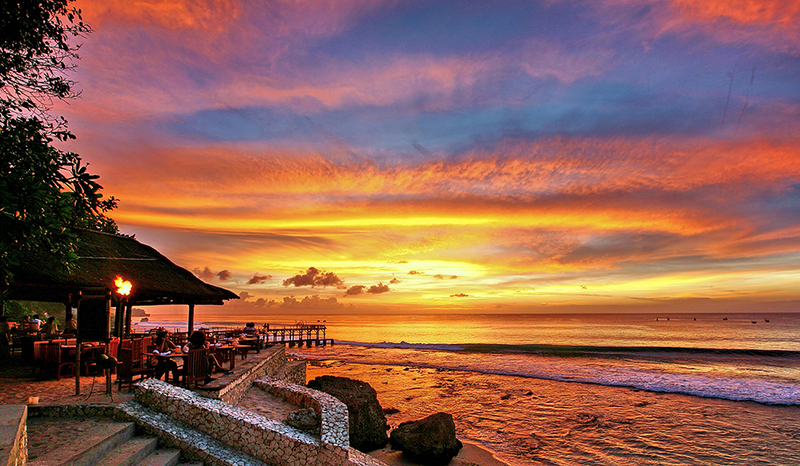 Relax in either of the two lavish oceanfront spas, at the beach or by any of the five pools. Practise your short game at the 18-hole putting course, work out in the gym or hop on a take leisurely bike ride around Jimbaran Bay. 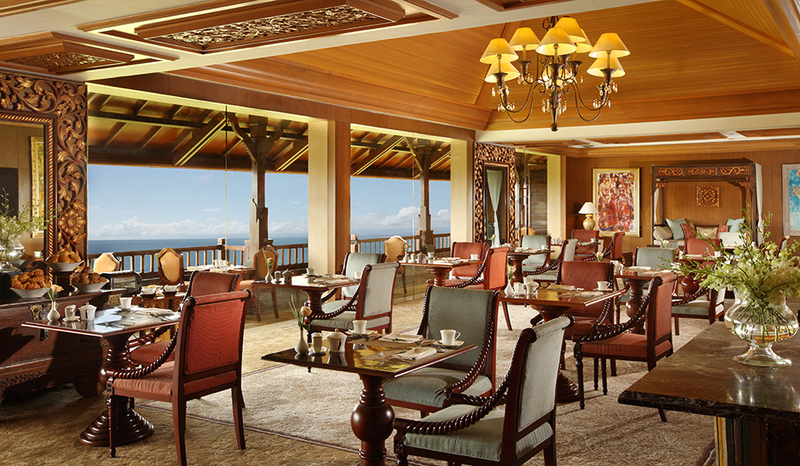 Savour an eclectic range of dining experiences at the resort’s seven restaurants, serving local and international cuisines including fresh seafood on the beach, authentic Italian, Japanese, modern European and traditional Indonesian cuisine. After dinner guests can soak up the atmosphere in a selection of stylish bars and lounges. 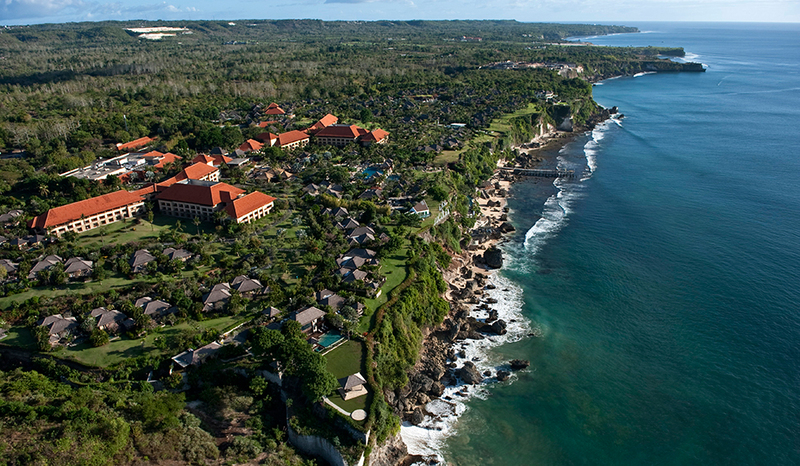 Transfer: 15 minutes by road from Ngurah Rai International airport. 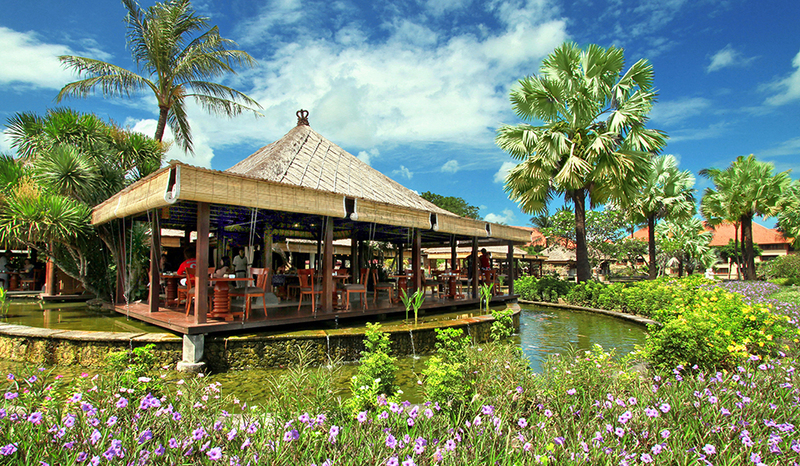 Accommodation & Facilities: 78 villas. 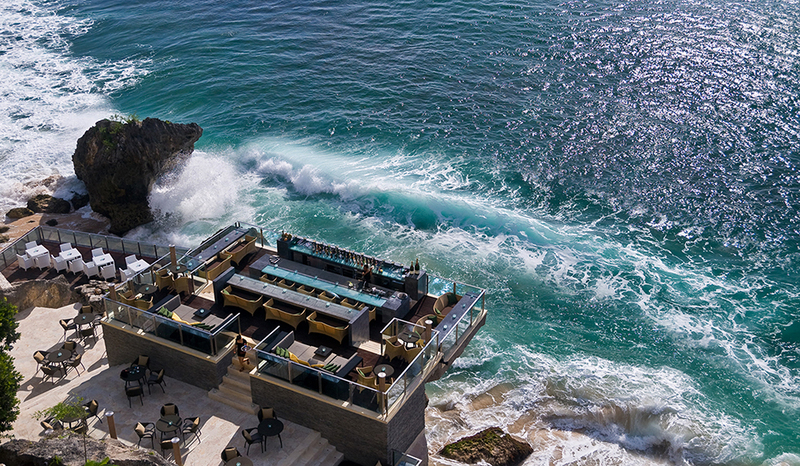 7 restaurants, 3 bars, 1 café, 5 pools, spa, gym, golf, tennis, boutique.